Count on Encore House of Athletes to stay at the forefront of promoting the sport of jiu-jitsu in Pasig. Last December, coach Joshua Abella and the team successfully organized the 1st Encore Jiu-Jitsu Invitational Tournament despite the heavy rains. It was a two-day event that featured gi and no gi action courtesy of Encore’s resident stranglers along with other grapplers from NorCal Grappling Crew, KMA, New Era Wrestling comprising of Sprawl, Atos, and Origins BJJ members, as well as independent competitors. On day 1, brothers Joaquin and Joshua Dy brought their impressive guard game to make their presence felt, topping their respective divisions in the gi, just like Emerald Tayag and Jigs Quesada. The following day, returning competitors Mitchell Ian Nadres and Ansis Barretto proved they still have it as they impressed in their respective categories. Joshua Cabalinan took his division and the absolutes. The first Encore Jiu-Jitsu Invitational Tournament was supported by Entrap FightGear, which provided prizes and discounts to the podium finishers. Encore House of Athletes, on the other hand, gave out free gym passes. 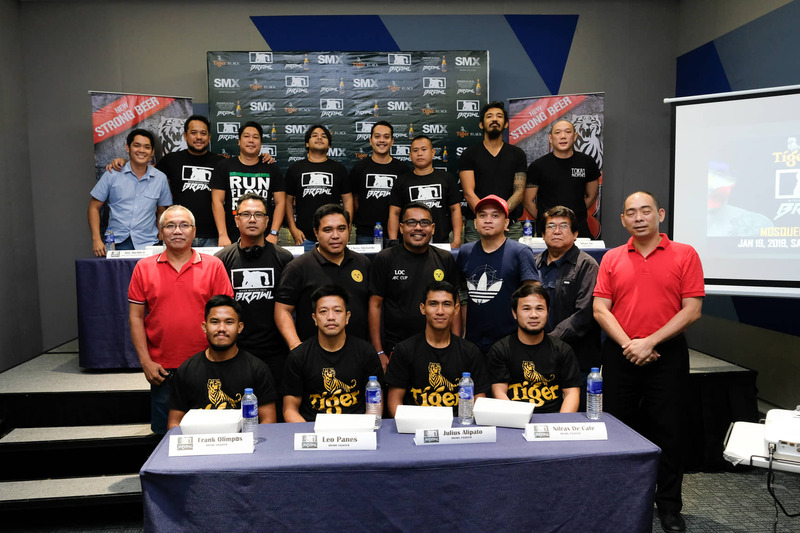 Fighters from Brazil and Denmark will mix it up with the region’s finest at the return of BRAWL Bacolod, Negros Occidental’s premiere fight league. Backed by Tiger Beer, the event promises fireworks after two years of absence. The main event features a lightweight showdown between Rio de Janeiro’s Afonso Cego and local bet, 6100 Martial Arts and Fitness’ Miguel Mosquera. Cego, a Brazilian Luta Livre black belt, started his career in Brazil and now represents Catalan Fighting System. He is coming off a failed URCC title bid and is eager to bounce back. Mosquera, on the other hand, is a PXC and URCC veteran looking to perform in front of his home crowd. Not one to back down from a submission specialist like Cego, Mosquera is no slouch on the ground either, having won gold at the prestigious Pan Asians BJJ Tournament. He holds notable victories over Angelito Manguray and Steve Grandeza, and has engaged in hard-fought matches with UFC bantamweight Rolando Dy and former URCC feathweight king, Red Romero.